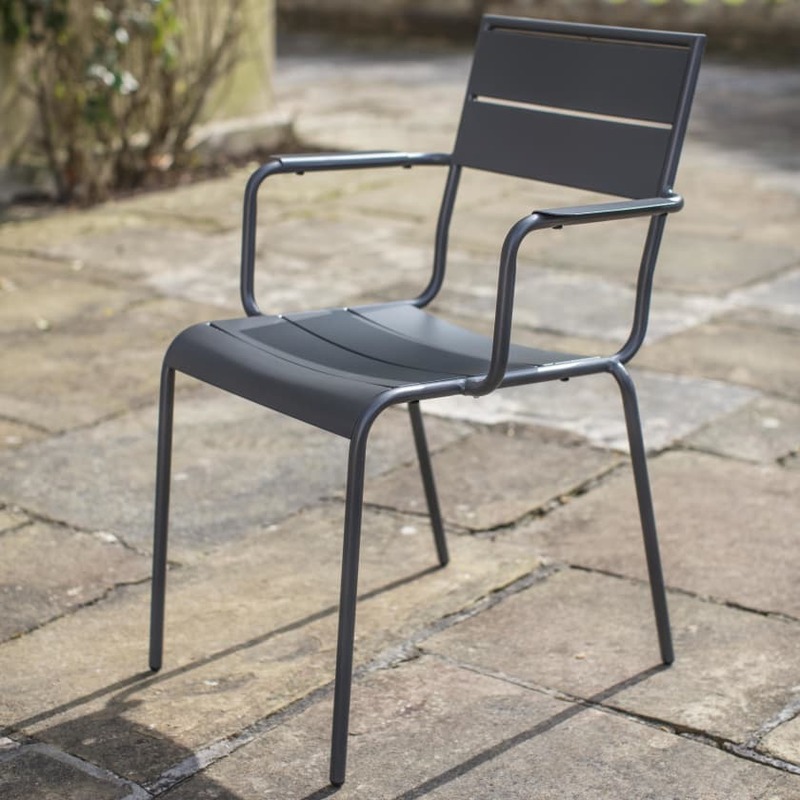 This Thurloe chair is the perfect addition to a contemporary urban garden. 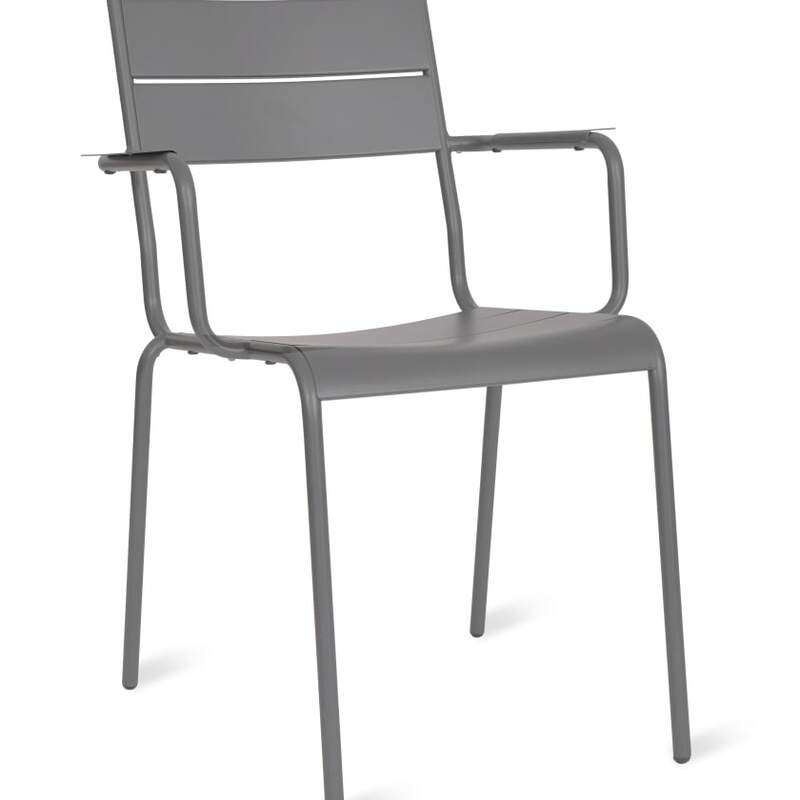 The distinctive arm rest, gently curved seat and generous wide back make it sturdy as well as extremely comfortable. Made from powder coated steel with a dark grey finish this one pretty much goes with anything.